It's official: Apple has killed the traditional 3.5mm headphone jack, and the new iPhone 7 will be shipping off without one. As we've said before though, there's no reason to freak out. Does this mean you'll never be able to listen with your favorite (not to mention expensive) corded headphones during your subway commute ever again? Not exactly. 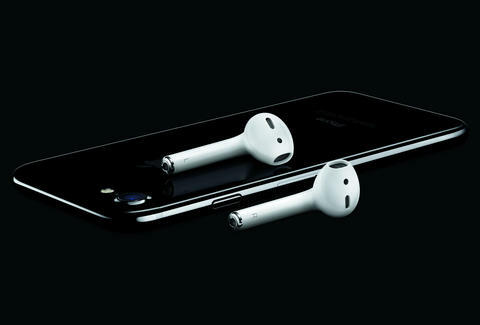 Apple's acknowledged it's a major change, and not only is it including a stopgap solution in the box to keep us corded 'phones wearers content, it's just dropped a fancy-shmance new product: the Apple AirPods. So what's in the iPhone 7 box? Along with your usual iPhone charger, Apple is including corded EarPods that plug directly into the Lightning port, as opposed to the headphone jack. Apple's also including a little converter dongle that plugs into the Lightning port that allows you to connect your old-school 3.5mm headphone plug. This will add a little bulk to your otherwise sleek and thin new device, and will be a nuisance if you want to listen to something while simultaneously recharging your phone, but it's a reasonable "that'll do for now" solution nonetheless. 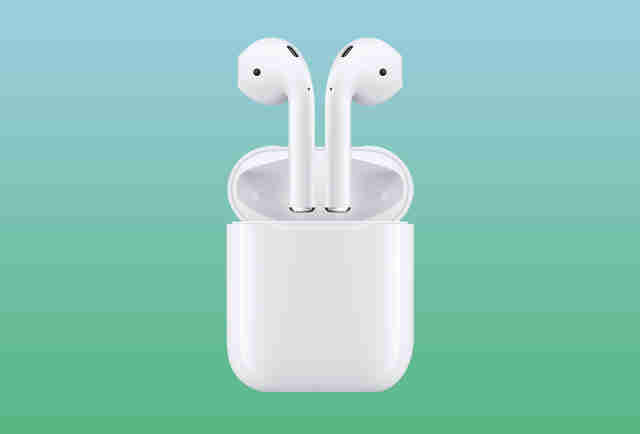 In addition to a whole new line of Beats wireless headphones, Apple just introduced brand-new "AirPods" -- a pair of wireless ear buds that will ship in October for a cool $159. Apple boasts that the AirPods will be fully intuitive, meaning there's no "pairing" necessary and no buttons of any kind -- they will instantly sync up with your iPhone or Apple Watch (although, the folks at theVerge actually tried them, and sometimes it took about 10 seconds to get them going). They'll pair up with all your various Apple devices too, so you'll be able to use them with your laptop or iPad. Double tapping one will activate Siri. The AirPods will support up to five hours of battery life on their own, and apparently, built-in sensors know when you remove them from your ears to help save battery. They come packaged in a case with a built-in battery that will keep them charged for 25 hours. The case itself, which looks like a pack of dental floss, will then need to be charged as well via the Lightning port. Word on the street is they look and feel pretty similar to your standard Apple earbuds, so there's not really anything special to, you know, keep 'em in place. Man, we're all gonna lose these so fast. Update 12/13/16: Apple Airpods are on sale now, but shipping for pre-orders might take awhile. Joe McGauley is a senior writer for Thrillist.